Clients' participation in community activities serve two purposes: Clients benefit from being a part of the community and the community benefits from learning about the clients' special needs. 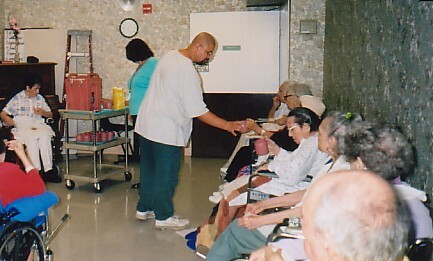 Client Gerardo at community nursing home. Support Services for the Deaf encourages client participation in both mainstream and deaf community activities. As members of the deaf community themselves, our staff are actively involved in deaf community events. 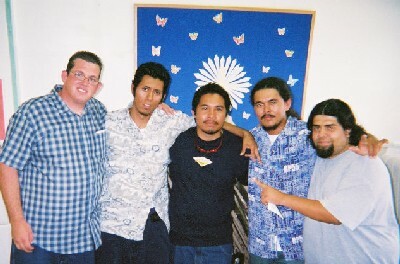 Client Cavan (left) with members of a deaf church.